RIO DE JANEIRO (AP) — He was scalded at 3, kidnapped two years later, and lost a kidney when he fell from a tree at 10. To say Isaquias Queiroz had a rough start in life would be an understatement. 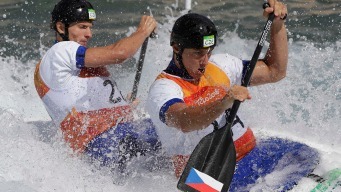 The second ranked canoe double team in the world capsized during one of the final turns in the men's canoe double final. Whitewater Stadium plays host to the men’s canoe double and women’s kayak single slalom semifinal and final. Whitewater Stadium plays host to the men’s canoe double and women’s kayak single slalom semifinal and final. ">Whitewater Stadium plays host to the men’s canoe double and women’s kayak single slalom semifinal and final. 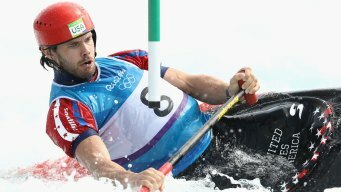 Team USA’s Casey Eichfeld fell short of his first Olympic medal in the men's canoe single slalom final on Tuesday. Whitewater Stadium hosts the men’s canoe double (C2) and women’s kayak single (K1) slalom heats on Tuesday. Watch the stream of Day 3 canoe/kayak slalom heats beginning at 11:30 a.m.
Whitewater Stadium hosts the men’s canoe double (C2) and women’s kayak single (K1) slalom heats on Tuesday. Watch the stream of Day 3 canoe/kayak slalom heats beginning at 11:30 a.m.">Whitewater Stadium hosts the men’s canoe double (C2) and women’s kayak single (K1) slalom heats on Tuesday. 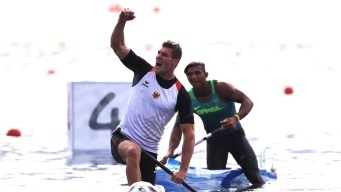 Watch the stream of Day 3 canoe/kayak slalom heats beginning at 11:30 a.m.